Pastillas para Guitarra y Bajo (Pickups) Hay 2 productos. For more than a decade Jason Lollar has designed and built some of the most sought-after pickups for electric guitar, bass and steel guitar. If you're on a quest for tone, we can help. We personally build more than fifty different models of pickups for a variety of instruments. In the early 1970's, Kent got his start rewinding pickups in his father, Dan Armstrong's New York City repair shop. Eventually, Kent took over the repair shop and added a partner: pickup designer Bill Lawrence. With Bill's help, Kent continued his accumulation of pickup knowledge, and it was at this time that he started building his first pickups. After moving to England to attend college, Kent opened a rewind and repair shop and started designing new ways to manufacture his own line of pickups. Today, Kent is one of the foremost pickup designers in the industry, and years of listening to what the customer wanted to hear has culminated in the WD pickup line. With his designs for WD, as well as his handmade pickups, Kent still has one goal in mind: To give every player their dream sound. Somos punto de venta oficial de EMG Pickups. Original Fender. 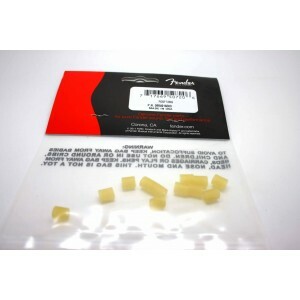 Package of 12 pieces of rubber tubing for pickup mounting on most Fender instruments with pickguard-mount pickups.